Successful retirement planning starts with your first paycheck. The keys to successful retirement are planning, budgeting and investing. It all starts with a plan of when you want to retire and what you want to do in retirement. Then, you will need to save some money each month and invest those savings so that you have sufficient funds for a comfortable retirement. You cannot put things off because there might not be enough time to accumulate and grow your savings. When you want to retire determines when you might need to tap your investments for paying your bills. Some people never want to retire. For example, the founder of a company may continue working even after appointing a family member or a seasoned executive to run operations. Others may want to retire in their mid-50s so that they can do other things, such as travel and write. This brings up the issue of what you want to do in retirement, which determines cash-flow requirements. For example, if you want to travel extensively, you will need funds for airplane tickets and hotels. However, if you plan to spend most of your time at home, your cash requirements will be more modest. Budgets set the framework for retirement plan success. They provide a way to manage your income and expenses so that you can pay your bills and save something for your retirement portfolio and emergencies. At the beginning of each year, estimate your monthly income and expenses. The difference is your net savings per month, after adding in a reasonable safety margin for unexpected expenses, such as medical expenses or emergency travel. Be prepared to modify these budgets to adapt to major life events, such as when you start a family or when your kids attend college. An investment strategy turns your monthly savings into a retirement portfolio that generates post-retirement cash flow for accommodation, food, health insurance, entertainment and travel. Your portfolio mix of assets and securities will depend on your cash flow requirements and tolerance for risk. If you cannot stomach market volatility, stick to government bonds and blue-chip dividend-paying stocks. You could also change your asset allocation depending on how close you are to retirement. For example, volatile growth stocks might constitute the bulk of your portfolio if you have just started your first job, but as you get closer to retirement, bonds would be the major component. 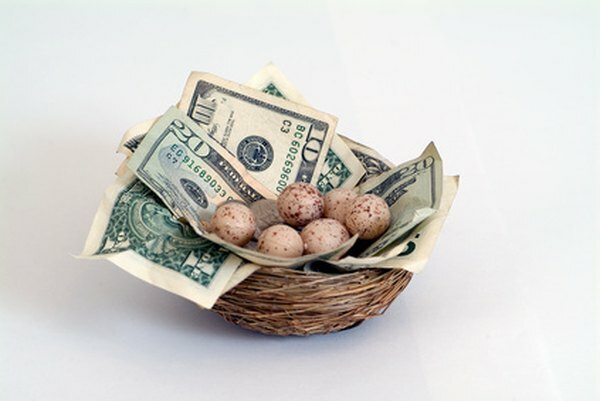 You should make the maximum allowable contributions to tax-deferred plans, such as investment retirement accounts, before allocating funds to taxable portfolios. Successful retirement also requires flexibility and optimism. You may incur expenses that you never expected or lose income without warning. The key to dealing with adversity is to stay positive and make the required adjustments. Retirements tend to be more enjoyable when you are healthy and spending time with your family.